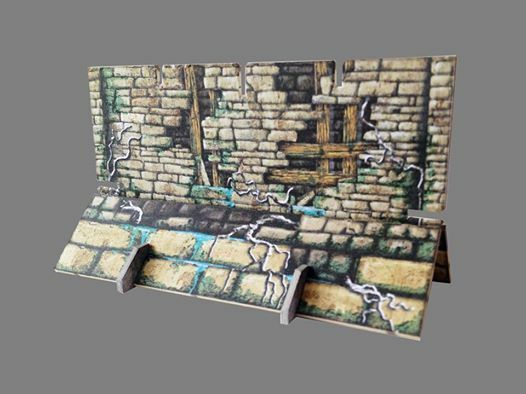 Battle Systems has posted up a preview shot of the derelict walls they've been working on since the end of their successful Kickstarter campaign. So, here we are finally crawling to the top of the administration mountain and getting time to grab the camera for a few shots of the Derelict Walls. This is the first of quite a few updates over the next two months that will basically show you the development of the initial stages of the Fantasy Dungeon and all it's lovely add-ons.